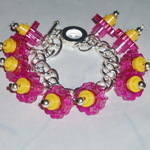 Very fashionable, trendy and fun to dangle from your mobile phone, Lego Phone Charm. 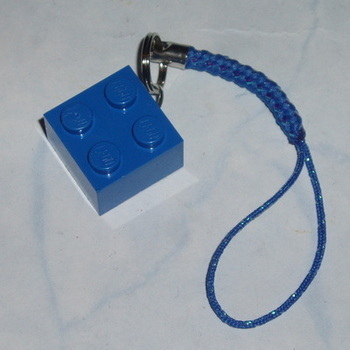 Single 2x2 Lego brick on a matching sparkling lariat. You choose the Colour you want. You can also choose to add a sparkling Swarovski Crystal to the Lego brick. EMO, Kitch, Retro. I use new and re-cycled Lego Bricks.